The Bridgestone Turanza ER300-2 RFT tire is the last word in vehicle safety. This tire’s run-flat technology lets you keep driving temporarily after a puncture, so you never have to worry about changing a flat in a dangerous situation. 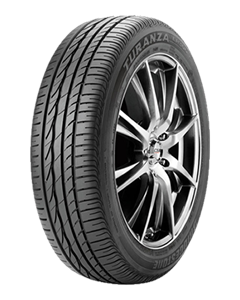 But the Turanza ER300-2 RFT isn’t just about safety -- this tire also excels in wet and dry road conditions, and provides excellent cornering and fuel efficiency, completing an all-around strong package.